In light of this most recent tragedy in Haiti, I will be donating half of the profits from my current prints clearance sale to the Red Cross. If you haven’t heard of the tragedy, a 6.5 earthquate hit Haiti, toppling hospitals, government buildings, and many homes in the capitol. They need help now! If you don’t want prints, you can still donate directly here. My heart goes out to everyone who has been affected by this tragedy. 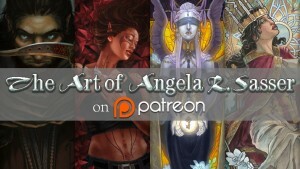 The prints sale will be handled via my deviantART journal. You can see the entry here. Regularly scheduled blogs will return once I’ve had a chance to get some equipment set back up in my room. I’m hoping to get back into the video blog act again, but this requires that I form order from chaos out of the mess that is my current bedroom/studio. Until then, let’s do what we can to help others in need!